N332 S.F. Hess Charlie Mitchell. It was not uncommon for parents to lop off the tobacco ads on cards and give the images to their kids. When the card is rare it can make identification a challenge. 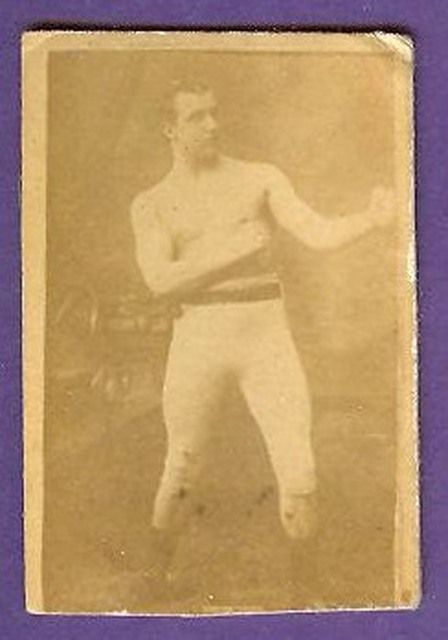 This one was sold as an unidentified photo of an anonymous boxer and sold for less than 1% of what a Hess would normally cost.